Fermented in stainless steel and not permitted to go through malolactic fermentation, this wine is fresh, bright, and juicy, with flavors and aromas of watermelon, rhubarb, strawberries, and cherry Jolly Rancher. 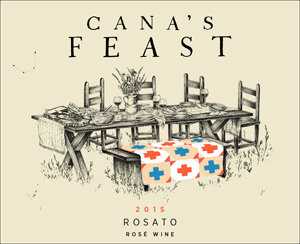 ©2014 Cana's Feast Winery � 750 W. Lincoln Street, Carlton, OR 97111 � 503-852-0002 � Questions? Email us info@canasfeastwinery.com.